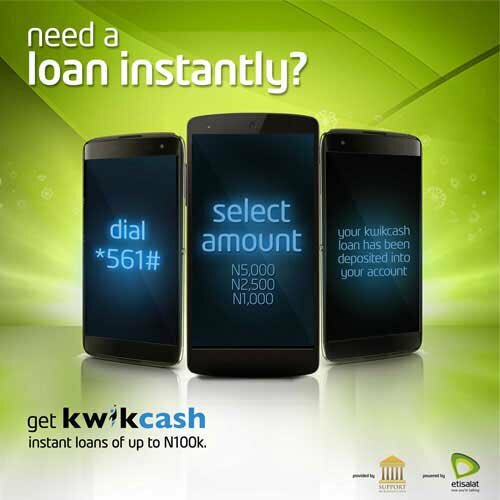 Etisalat in collaboration with KwikCash has launch a new loan service for its subscribers which is borrow physical cash from Etisalat on Kwikcash. The service currently is available for only selected Etisalat subscribers who receive the SMS message from 561, but it will be open for expansion and available to more subscribers as time goes on. 4. Enter your account number & your account gets credited. you get your alert. it works like a breeze. Note: You will pay back in 14 days. 4. and there you go. works like a charm. you can check your status anytime including your loan balance.